Rojone makes available two GPS amplifiers in our AMA-061 Series. 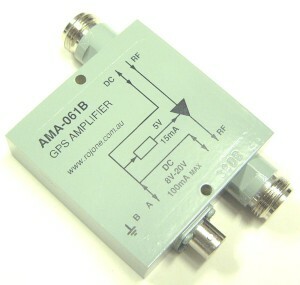 AMA-061B is our broadband GPS Amplifier and our AMA-061F is a high rejection GPS filtered. Both these amplifiers are designed to boost GPS signals for long range transmission or for a GPS Repeater Kit. Our filtered amplifier is ideal for boosting GPS signal in noisy environments. These amplifiers can also be used as a DC feeder for a GPS antenna, additional amplifier or as a DC splitter. The DC through can be regulated or by passed to the antenna for 5V systems. Rojone has a full range of GPS products, to download a copy of our GPS catalogue click on the link below. This device is an active 2 way divider designed for vehicle application allowing the signal from a single GPS antenna to be shared between two receivers. The unit is configured to insert 5 Volts DC to the antenna via the three pin power connector, while the output ports are DC loaded to Simulate current draw draw. DC is blocked to the 2 output ports, supplied to the input port. Rojone’s AMA-2300-XN Series of power dividers are specifically designed for GPS applications. Output 1 is AC coupled to the input while Output 2 is DC coupled to allow for two receivers to a single active antenna. The receiver connection to the power divider’s DC path will be able to pass DC to the antenna. The DC current capability is > 500mA. L1/L2 Splitters are also available; please contact Rojone Pty Ltd.
Rojone’s AMA-2251-1400 Series of miniature dividers are specifically designed for space critical GPS applications. One output is AC coupled to the input while the other is DC coupled to allow for two receivers to a single active antenna. The receiver connection to the power divider’s DC path will be able to pass DC to the antenna. The DC current capability is > 500mA. AMA-2301-6N is specifically designed for L1, L2 and GLONSS receivers. This divider incorporates 6 diodes to provide DC through from each output to the antenna with 20dB Isolation; this allows any one port to supply DC while the diodes block the other ports. Six resistors apply a DC load to allow the GPS receivers to operate. Rojone’s AMA-055 cavity Band pass filter is a narrow band 5 resonant section filter designed specifically for pre-selection of GPS and DGPS satellite signals. This product is typically used to filter out unwanted Radio Frequency signals, which can interfere with good reception of the GPS/DGPS signal. Rojone’s AMA-4330-1575-10N Band pass filter is a narrow band, high rejection filter designed specifically to filter out unwanted Radio Frequency signals which can interfere with good reception of the GPS/DGPS signal. 05-S series offers outstanding Insertion Loss and Return Loss characteristics over the 1000-2000MHz band, making it suitable for protection of commercial and military GPS, as well as other applications in this band. LP-GTX-05-T high performance series is an exceptional DC pass design for protection of GPS receivers requiring up to 5Vdc power to be supplied on the center pin. Protection Technology to provide unsurpassed surge performance. The LP-GPSX-05-T series offers outstanding insertion loss and return Loss characteristics over the 1000-2000 MHz band, making it suitable for protection of commercial and military GPS, as well as other applications in this band. LP-GTX-05-N high performance series is an exceptional DC pass design for protection of GPS receivers requiring up to 5Vdc power to be supplied on the center pin. Protection Technology to provide unsurpassed surge performance. The LP-GPSX-05-N series offers outstanding insertion loss and return Loss characteristics over the 1000-2000 MHz band, making it suitable for protection of commercial and military GPS, as well as other applications in this band. LP-GTR-D is an exception broadband DC pass design for lightening protection applications requiring DC power to be supplied to the electronics. This is the perfect protection solution for distributed antenna systems, tower mounted amplifiers and GPS Systems and other applications requiring DC pass circuitry. These devices exhibit outstanding RF performance with high surge current handling from 50-550 Watts. 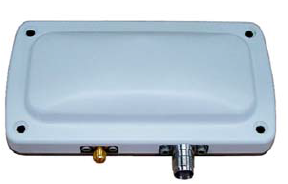 Fully weatherized housing meets IP67 standard allowing for both indoor and outdoor installation. Rojone offers a range of integrated GPS/GLONASS antenna & receiver modules and cost effective OEM board level receivers that are easy to implement while, providing high performance operation for telematics, survey, timing applications. Adding GPS positioning functionality to your electronic systems is easy. Resistant to high temperatures, humidity, salt, chemicals, ideal for applications in mining, agriculture and the survey industry. This module features the latest Ublox 8 Series NMEA 72 Channels chip, high sensitivity -148dBm Cold start, an average of 1 second acquisition rate on hot start, up to 5 Hz clear sky update rate. Mounting is configurable to your requirement, available as either serial interface is either RS232 with a 8-30Volt internal switch mode supply or USB V2.0 Full speed 12 Mbit/s USB-B connection. Rojone has been a leader in GPS repeating systems for many years. Our first commercial low cost system was developed in the early 90’s, refined over the years and is now in huge demand & sold throughout the world. As a result of our commercial success, we were asked to develop a high performance, reliable L1/L2 system for the RAAF in Australia. This project has been a huge success, with many systems installed Australia wide. These repeaters offer many benefits not only in the maintenance area but keeping aircraft ready for rapid deployment. 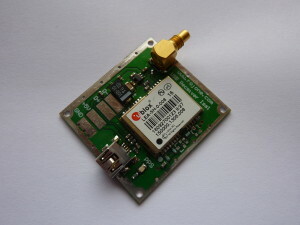 The L1 Commercial GPS Repeater Kit is our low cost commercial L1 1575MHz repeater kit. Designed to simply bring GPS signals indoors cost effectively for test labs and vehicle garages, it is ideal for timing applications. The GPS L1 L2 Fixed Repeater Systems series was developed as a high performance L1/L2 GPS repeater system for the Australian Air Force. Specifically designed for permanent installation, it overcomes operational difficulties providing reliable dual band coverage anywhere needed. The system features a highly sensitive active receive antenna capable of tracking satellites down to 5 degrees elevation, efficient TX antenna over 100dB RF blocking cellular, VHF & UHF radio frequencies. A high performance RF amplifier with high rejection filters for both L1 and L2. The repeater incorporates its own 110-240VAC power supply for quick & easy set up. Designed for the military however ideal for a range of Applications. This portable system was designed for rapid deployment, the system can be set up in under 20 minutes to provide L1/L2 GPS coverage to a variety of military & civilian vehicles including aircraft while under cover or inside hangars. This self-contained system, weighs no more than 38 Kgs. The IP65 rated military designed case contains all the system Components to provide quick & reliable L1/L2 GPS coverage for up to 15 meters in radius. The ROJ-140 system features a highly sensitive active receive antenna capable of tracking satellites down to 5 degrees elevation. It incorporates high performance RF amplifiers with high rejection filters for both L1 & L2. It boosts efficient TX Antenna, over 100dB RF blocking cellular, VHF & UHF radio Frequencies. Truly portable, it operates on battery power or can be connected Mains power and features auto power supply detection & low battery alarm. Rojone has recently added a New Mobile L1/L2 GPS Repeater product to its already extensive family of commercial and military systems. The ROJ-150A kit is specifically designed for troop carrying mobile platforms such as APC’s (Armoured Personnel Carriers). The ROJ-150 system, when installed, will re-transmit the GPS L1/L2 band signals within the enclosed vehicle to provide adequate coverage to maintain personal GPS receivers on equipment and man packs. Mobile phone boosters/amplifiers, regardless of where they are intended to be used by third parties (i.e. not a mobile telecommunications carrier), are a prohibited device and cannot be legally used in Australia. All radiocommunications transmitters operating in Australia, its territories and its territorial waters do so under the authority of an Australian Communications and Media Authority (ACMA) issued spectrum, apparatus or class license. A mobile telephone booster/amplifier and/or repeater is a radiocommunications transmitter and therefore can only be operated in Australia under the authority of an ACMA issued radiocommunications license, or with the permission of the current licensees. The radio spectrum in which these mobile telephone booster/amplifiers and/or repeaters operate, is exclusively licensed to the mobile telephone carriers (including Telstra, Optus and Vodafone). There are no mobile telephone booster/amplifiers and/or repeaters licensed for use in Australia, with the exception of those operated by the mobile telephone carriers who may install and operate these or similar devices as part of their networks under their licenses. Third parties cannot be given licenses by the ACMA to operate mobile telephone booster/amplifiers and/or repeaters in this spectrum. You would need the permission of the licensees (the mobile telephone carriers. There have been several instances where mobile telephone booster/amplifiers and/or repeaters have been imported into Australia from overseas and the subsequent use has resulted in interference to mobile telephone networks. ACMA has seized several of these devices and appropriate compliance enforcement action was taken under the Radiocommunications Act 1992. Severe criminal penalties, including court imposed penalties up to $165,000.00 or 2 years imprisonment, exist under the Radiocommunications Act 1992 for the unlawful possession of and/or the use of these devices. Telecommunications carriers may also initiate civil legal action against users for any losses suffered due to the use of these devices the users may subsequently be able to take civil action against the suppliers. You cannot legally use a booster or repeater for better mobile phone reception. A booster or repeater is classed as a transmitter. You need a licence to operate a transmitter. The booster would be re-transmitting in the same radio frequency spectrum covered by the Spectrum licences owned by the mobile service providers (the Carriers). You cannot legally transmit in the frequencies allocated to the carriers by their licences, without their permission. install a passive indoor antenna. Pick up some coaxial cable (enough to go from the outside of your home to the inside) and two antennas with coaxial connections from your nearest electronics store. Place your outside antenna in a location with a strong signal and run the cable into your home. Try running your cable through a window at first to make sure the passive antenna will help improve signal strength before you drill into your home. After connecting both the outdoor and indoor antennas check your signal strength, as it should be improved at this time. You may still need to check with your Carrier or Service Provider (i.e. Telstra, Optus, 3, Vodafone, Virgin etc) to verify that these suggestions are acceptable under their Spectrum Licence conditions. Just added to our extensive GPS range is our new high performance wideband antenna, which covers GPS-L1, GLONASS-L1, OMNISTAR and L Band Satellites communication frequency bands, such as Iridium &Thuraya systems. This antenna is available a broadband configuration 1520-1600 MHz frequency range, with 4dBic RF Gain. Our active version offers 35dB over the1530-1610Mhz frequency range & incorporates filters with >60dB rejection. For all mobile phone bands and VHF/UHF Radios. 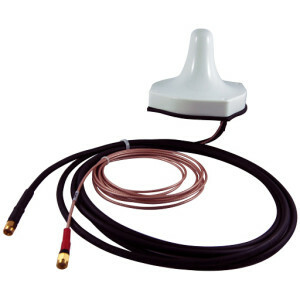 This range of GPS antenna has been designed as a versatile low cost active antenna solution. 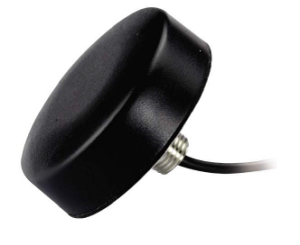 The antennas is active 3, 5 or 3-5 Volt ceramic patch encapsulated in a UV stable radome, cable is molded to the package for strength and waterproofing characteristics. It is offered as a magnetic mountable package making this antenna ideal for quick easy mounting. 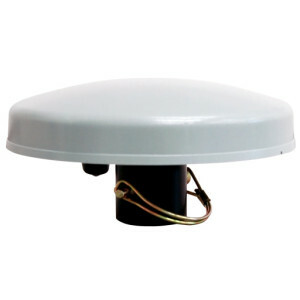 This range of GPS antenna has been designed as a versatile low cost, waterproof active antenna solution. 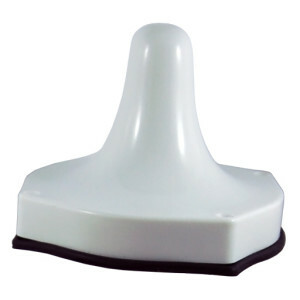 The antennas is active 3, 5 or 3-5Volt ceramic patch encapsulated in a UV stable radome, cable is molded to the package for strength and waterproofing characteristics providing this antenna with the capability of water immersion to 1 metre depth for 12 hours while maintain 100% waterproofing. The MiniNav GPS antenna was designed as a low cost high performance antenna suitable for various GPS receivers & applications. This antenna is a Strip-line design using high quality Teflon PCB. Because of its size, the antenna carries its own ground plane and therefore requires no special additional mounting to offer peak performance. The MaxiNav Antennas is our flagship product, developed specifically for harsh environment applications. The housing is manufactured from high impact, UV stabilized plastic formed to accommodate a snuggly fitted O Ring. Once the radome has been heat sealed, the MaxiNav becomes the ideal choice for marine & high humidity environments and for applications in mining or heavy transport where the antenna may be subjected to high levels of dust, dirt, water, oils, solvents or possible abuse. 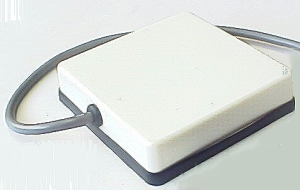 A-GPSA80NS is a high performance GPS antenna, specially designed and manufactured by Rojone for GPS timing applications. This antenna provides super stable phase/gain parameters with up to 80dB rejection to all mobile phone and Wi-Fi signals. It’s the best choice for base station timing applications where there may be a number of high power transmitters co located. The A-GPSA80NS can be directly connected to any GPS receivers working from a 2.7-15V supply. A-GPSA56-AVNG series is a high performance GPS/GSM-CDMA dual antenna. This product was developed specifically for a public transport use, such as buses, light rail & trams. The extremely low noise figure, excellent polarised circulation and stable phase/gain parameters help to ensure that performance exceeds most commonly-used commercial GPS antennas. With an excellent track record and hundereds of installations, this antenna is the ideal choice for GPS systems which require high sensitivity and reliable performance in dense urban applications where strong reflections often corrupt GPS signals resulting in huge errors to the GPS system. The A-GPSA95NS is our Wideband1530-1580 MHz Active (LNA Gain 50dB typical ) GPS/DGPS Non-Magnetic antennas was specifically designed as a quality broadband receive antenna suitable for survey quality GPS/DGPS applications complete with pole mounting. 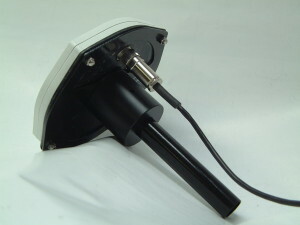 This product is a combination active L1 GPS and passive Iridium antenna. Designed as a low cost High performance antenna to suite Satellite phone / data Modem applications. This antenna operates in the band used by Iridium Satellites. Ruggedized, interference resistant, high performance antennas designed for military Applications, used extensively within Australian Military in conjunction with our L1/L2 GPS repeater system. 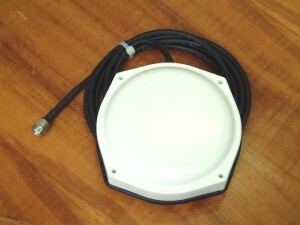 Low cost, compact combination GPS-GSM Antenna.